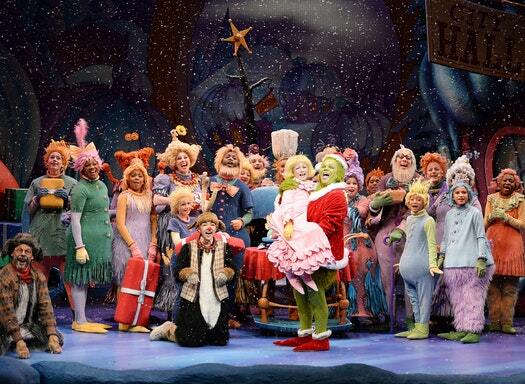 Minnesotans couldn’t get enough of the Grinch this past holiday season. The Children’s Theatre Company’s revival of “Dr. Seuss’s How the Grinch Stole Christmas,” which closed Sunday, became the highest grossing show in the company’s 52-year history, the theater reported Thursday. It proved so popular, CTC will bring it back next Christmas -- an unusual move for the theater, which typically waits a couple years or more to revive a production. While it did not disclose box-office figures, CTC said director Peter Brosius’ well-received production played to 99.8% of capacity. “More than 64,000 people experienced this important story of redemption and optimism,” said managing director Kimberly Motes. Tickets sold for as much as $95 a seat for the show, which had 87 performances in the 747-seat playhouse. Tickets will go on sale sometime next summer. CTC will announce its full season in February.